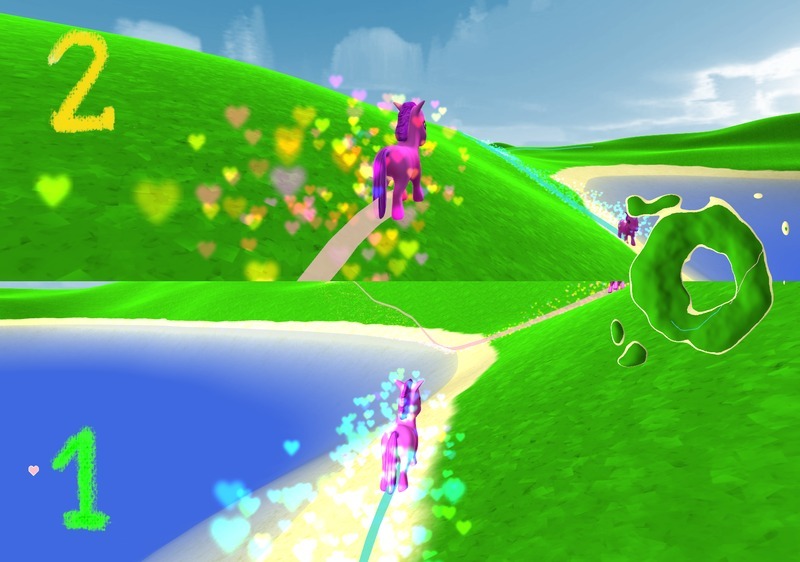 Pink Pony: 3D Racing Game With Ponies! is a colorful tron-like 3D racing game with ponies and computer-controlled opponents, as well as multiplayer split-screen support for up to four people via keyboard or game controller. Pink Pony can be played both on Linux and Windows and is both free and open source (see readme text). If you have problems with more than two players on one keyboard, you can attach additional USB keyboards. Gamepads are also supported: Joystick 1 controls Pony 1, etc. You steer the ponies with the left/right axis of the main stick and accelerate/decelerate with Buttons 1 and 2. Pink Pony is hosted at github.com/ginkgo/pink-pony. For more information, including compile instructions, credits and license information, please see the readme file.